Forget winter...FALL is coming! Can you smell the pumpkin spice lattes? This girl sure can! My kids went back to school today and as I sit here sippin&apos; on my steamin&apos; cuppa Joe in silence, all I can think about is how much I love my favorite season. Apart from the PSLs, I can&apos;t get enough of ALL that fall has to offer. From college football, to boots weather and beyond, fall is where it&apos;s at for moi! And while I have been thinking a fair amount about my fall wardrobe, I need to also start concentrating on getting my skin ready to tackle the cooler temps that will find its way to us later on in the season. So, on that note, let&apos;s talk about how to get your skin ready for fall! Get some rest...Filling up your sleep reservoir is paramount to having great looking skin. If you aren&apos;t well rested, not only will you not have enough energy to run around on, but it will show in your skin. Trust me. 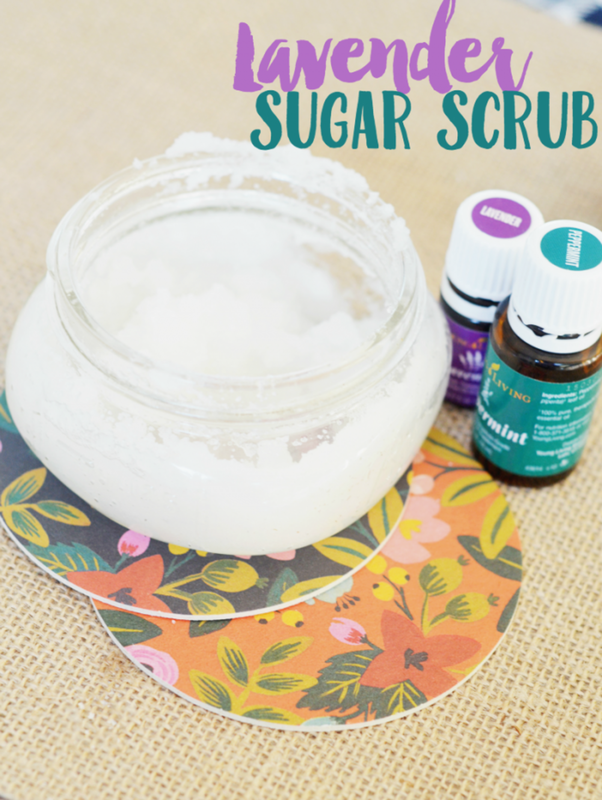 If you have trouble falling asleep like so many of us harried mamas do, try using a lavender scrub before bedtime. The soothing scent will help relax you! Exfoliate...Get ready, because with colder weather comes drier air and that could lead to much drier skin. So, it&apos;s important to exfoliate regularly. 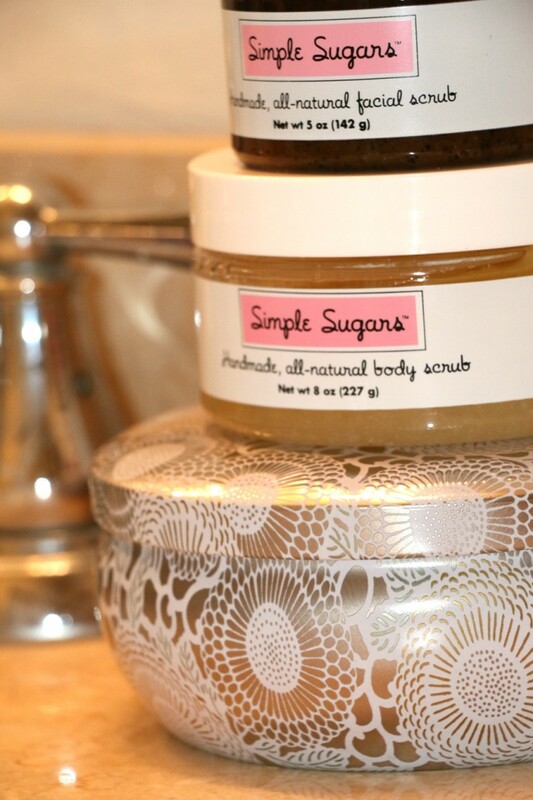 I, for one, can&apos;t get enough of the Simple Sugars scrubs. This all natural line leaves the harsh chemicals at the door and makes your skin beyond soft. Now you could stop with your face, but why not exfoliate your whole body too?! Dry brush...Ready to take your exfoliation to the next level? I knew you would be! Dry brushing not only exfoliates your skin, but it also helps boost circulation and even fights cellulite. Again, you aren&apos;t just tackling your face here. I want your whole body to be ready for fall and dry brushing will help you get there! 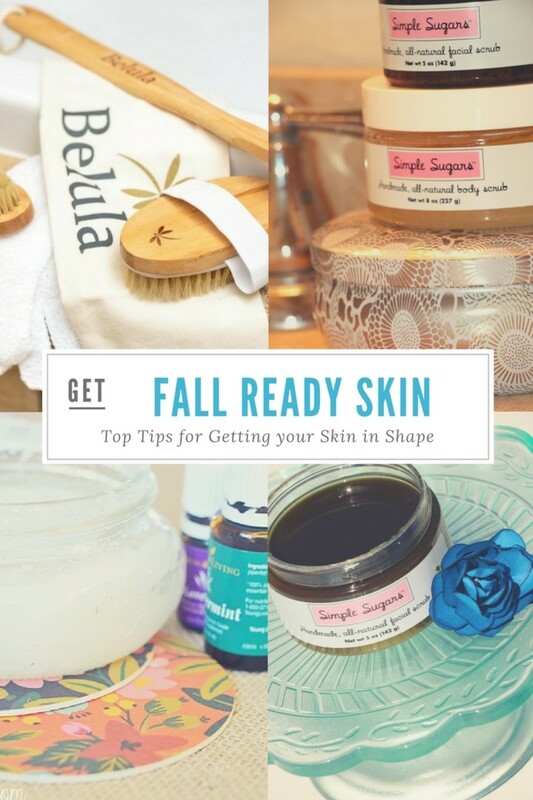 So, now that you&apos;ve seen my thoughts on how to get your skin ready for fall, aren&apos;t you ready to enhance your beauty routine too? !